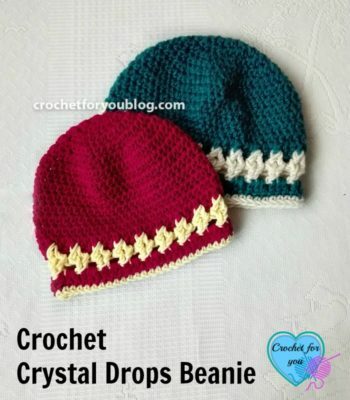 These crochet winter hats are perfect for keeping you and your family during the cold winter months. 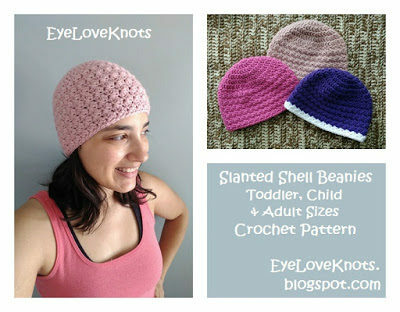 Some of these hat patterns are available in all sizes, while others can easily be modified for a custom fit. 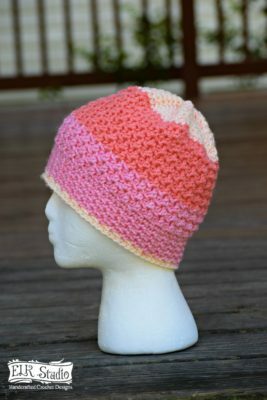 Here is a simple beanie with a pretty laced edge for an extra touch of love. The hat pattern is available in all sizes from child to adult men. This hat is worked up in a bulky weight yarn, so it not only works up quick, but it’ll be super cozy as well. And it’s available in all sizes, making it a great go-to pattern for the family. Here is another hat that is available in all sizes. 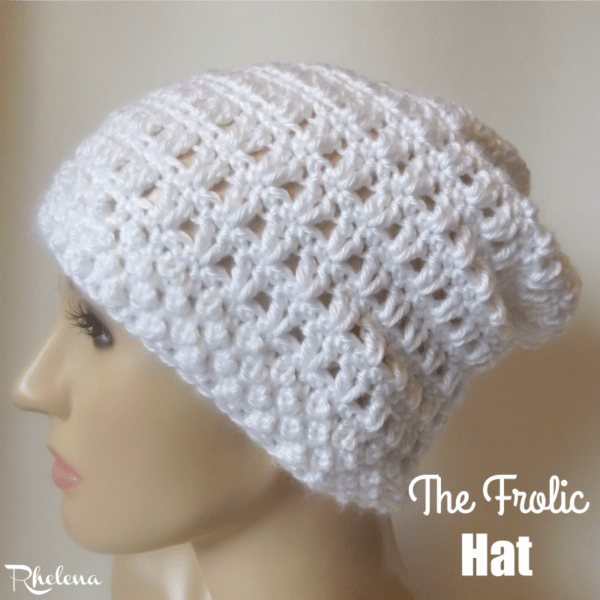 This one is crocheted in a basic half double crochet, making it a great beginner-friendly pattern. 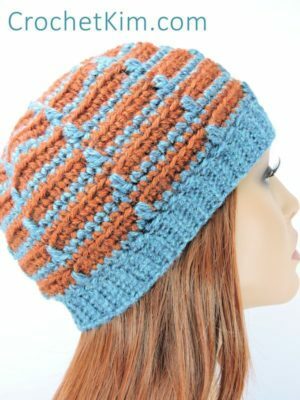 This beanie pattern is available in one size only. It features a beautiful texture and color design, which makes it easy match to any outfit. 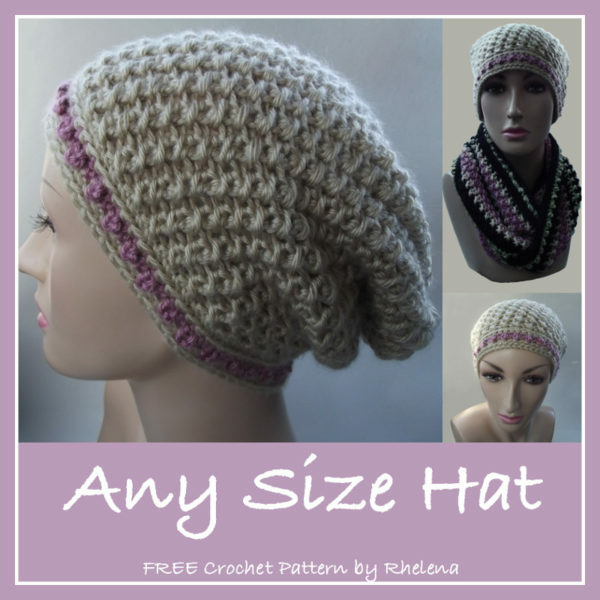 Easy to crochet to any size, this pretty textured hat also makes a nice stashbuster pattern. Shells are quick and easy to crochet. 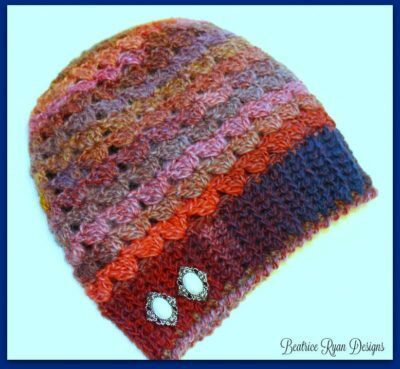 And with the pretty colors, this hat is sure to please everyone from the person who crochets to the person who gets to wear it. Here is another shelled hat, but this one has a pretty slant to it. 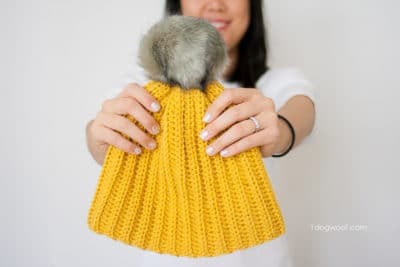 Not only does this hat feature a gorgeous knit look, but it’s also easy to crochet and easy to adjust to any size from baby to adult. This hat has a nicely textured edge with a pretty, yet simple stitch for the rest of the hat. And best of all, it’s easy to crochet to any size. 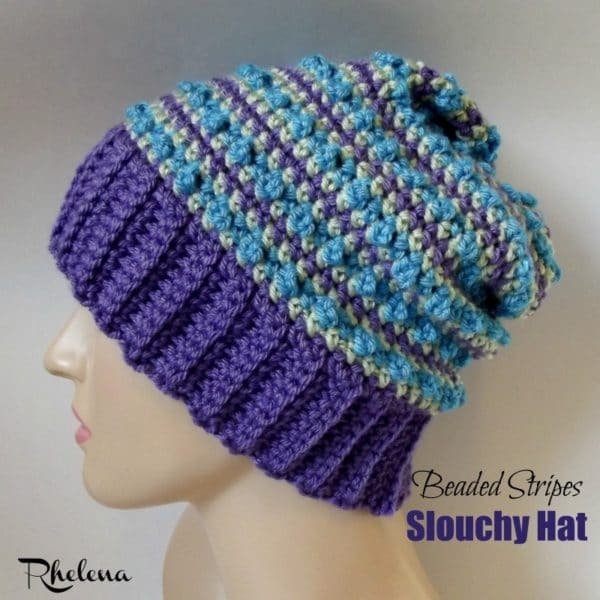 The self-striping yarn and the beautiful ridged look makes this a design you’ll want to crochet for all your friends and family. It is available in one size to fit the average woman. 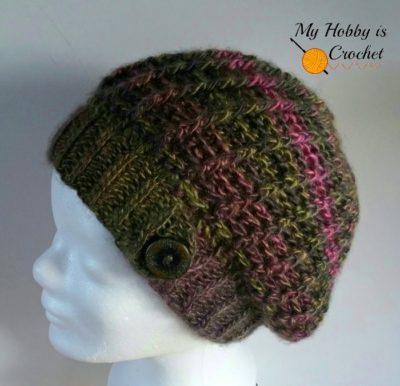 The texture of this hat is crocheted with very basic stitches. But it’s beautiful and perfect for an elegant look. This classy slouch is the perfect accessory to compliment your best outfits. It features a number of stitches to create a beautiful textured design. And it looks like it’s a comfortable fit as well. 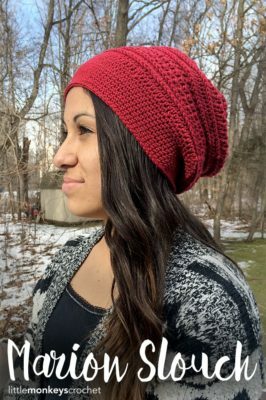 I love the spiral design on this beautiful slouch. 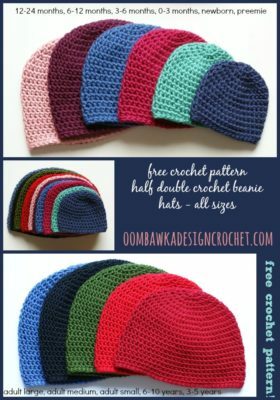 It’s an easy pattern, and can be crocheted to any size you need. 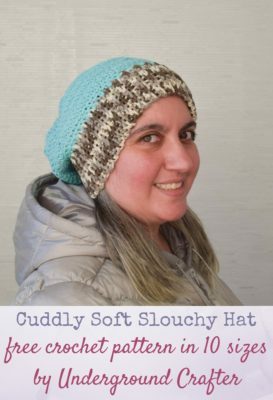 Crocheted in chunky yarn, this hat works up quick. 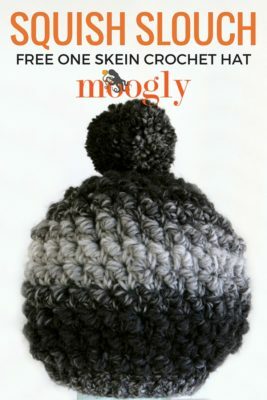 It is available in one adult size, and comes with several links to helpful videos on the stitches used to crochet this. Crochet this pretty textured hat to any size that you like. It has a nice bobbled edge in a contrast color for a super cool look. 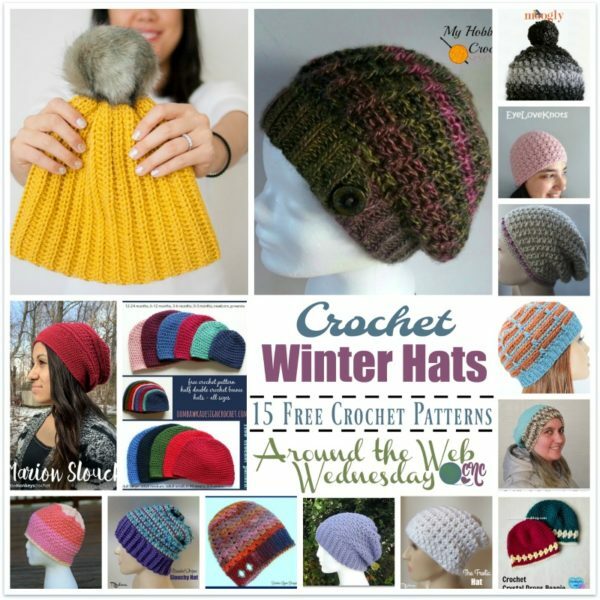 If you enjoyed this roundup of crochet winter hats, then you might also enjoy the collection happening over at CPB: Crochet Hats.